That's the magic of art: It always makes you feel. Not that long ago, I decided to venture inside the many universes that the Hammer Museum offers. I went there by myself, overly excited for it was my first time on that museum. I've lived so close to it for over a year, and It was about time for me to go there. I remember walking in and not having a single clue where to go. I looked like a tourist — and those are easy to catch. However, this guy was kind enough to give me a calendar with their events, a sticker, and directions. From that point, I decided to become one with everything an open my mind. I took a lot of pictures while there. So I totally forgot who the artist behind this was, but he made this out of a simple piece of white paper. He just cut the shape with a stiletto blade, and later just used watercolors to give it color. 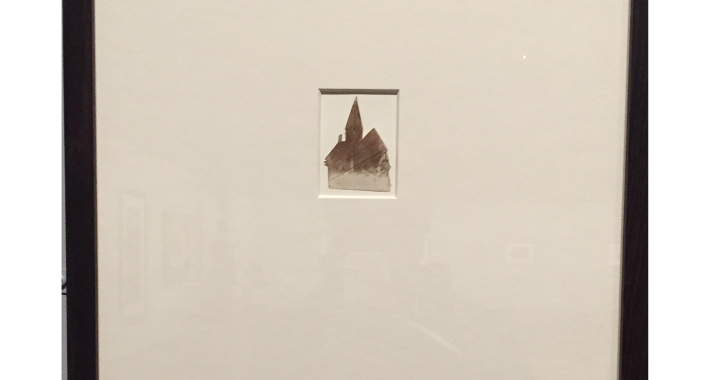 This was the smallest piece this artist had but had many different castles cut out with different shapes and sizes, and colors too. 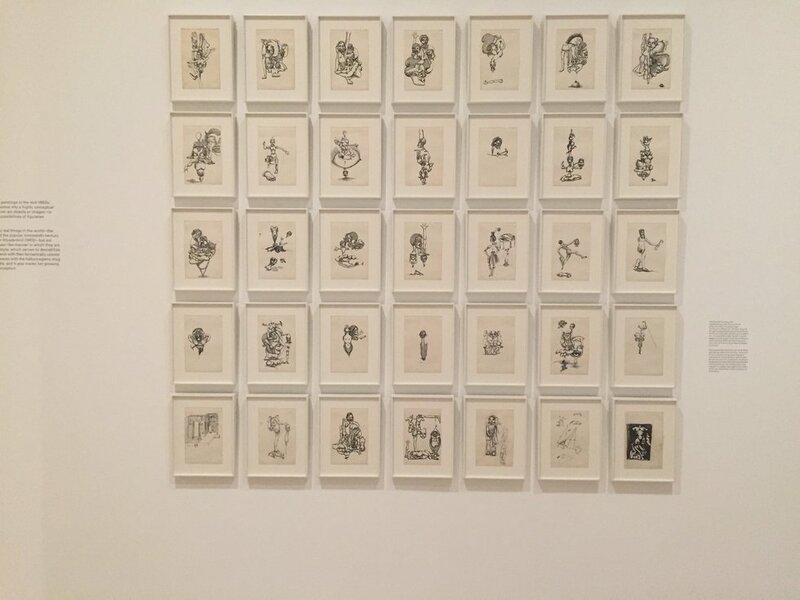 This second one is a collection of dolls drawn in different styles, all while the artist, Adrian Piper, was under the influence of LSD. Each doll had a life of itself, for each represents the people she knows. 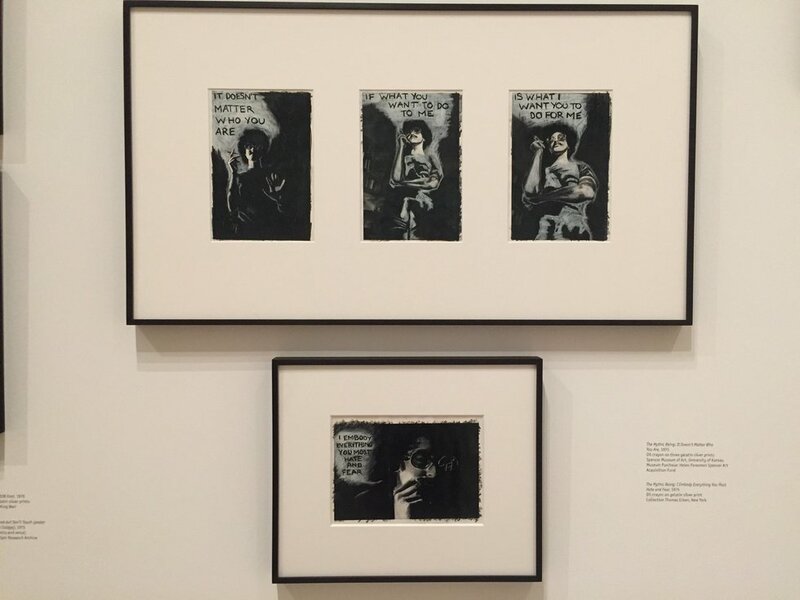 This is by Adrian Piper, too. This collection up there are drawings of herself dressed up as a man with a mustache glued on. Each message on each frame, when added creates one message. It says, "It doesn't matter who you are. If what you want to do to me. Is what I want you to do for me. I embody everything you most hate and fear." And honestly, I think that is so beautiful. However, as I walked through this gallery full of the art of Adrian Piper, I reflected on my life. I tried to look at myself from the point of view of her art. And I realized something which I wrote into a poem. Loneliness is a trait of a weak soul. who only, at night, deeply cries. and the body always condones. There is no resistance from the vessel. in that who never wrestles. — and watch out! — here it comes. will only drown in a cold bath. And this was just a lil something that I thought should be shared.